As riots and protests spread throughout Tunisia a few weeks ago, one song helped fan the flames of revolution—and its moment may not be over. In a country plagued with censorship, a Facebook sensation was made of a video called “President, Your People Are Dying,” رئيس البلاد performed by 22-year-old Hamada Ben Amr حمادة بن عمر (a.k.a. El Général; name can also be spelled Hamada Ben Amor or Ben Aoun). In the clip, the rapper speaks firmly and directly to now-former President Zine El Abidine Ben Ali about the unemployment and hunger ravaging the country while Ben Ali’s family lived in opulence. 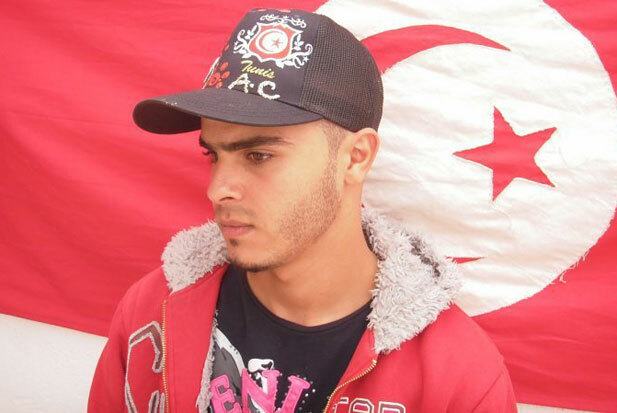 December saw the self-immolation of Sidi Bouzid after his produce cart was seized by authorities and the Wikileaks reports where ambassadors spoke openly about government corruption. The feelings of resentment about the poverty, police brutality and government ills were captured perfectly in the song—and subsequently Ben Amr was arrested, sparking more even protests and furor until President Ben Ali fled the country. Its direct role in the Tunisian uprising and potential role in the current instability in the Middle East may make it one of the most influential hip-hop songs of all time. 1. It’s Sung In Arabic: Naturally, since that’s the national language of Tunisia. 2. It Got Personal: Supporters of the uprising were enraged when Ben Amor was arrested and called in for questions. Ben-Amor’s brother Hamdi said, “Some 30 plainclothes policemen came to our house to arrest Hamada and took him away without ever telling us where to. When we asked why they were arresting him, they said, ‘He knows why.’” The irony of a musician decrying an oppressive police state and then being called in by the secret police was not lost. Because of this collision between protest and power, the song became integral to the protests. Hello, I am a music journalist in the US, and would love to speak with el General. Do you know how to reach him? Please contact me Mr. Salti via Facebook. You can find me as Marco Werman. His music/album is not officially released. Your best bet is to listen to his songs on YouTube. Greetings. really great blog you have here. I'm a freelance multimedia storyteller currently in Tunisia and would love to speak with El General. Can you share his contact to reach him. I'm on facebook as Simba Russeau. Also, check out my blog http://tastekulcha.com would love to add your blog as a link. Thanks for linking my blog and for commenting.